Some of my fondest childhood memories were made by Follywood, I mean Hollywood, yep, believe it or not. Back in the day, quality television programs that taught morals and values were plentiful. Some of my early formation came from Ben Cartwright of the Bonanza, Sheriff Taylor from The Andy Griffith Show, and Grandpa and Grandma Walton from the show entitled The Waltons, just to name a few. 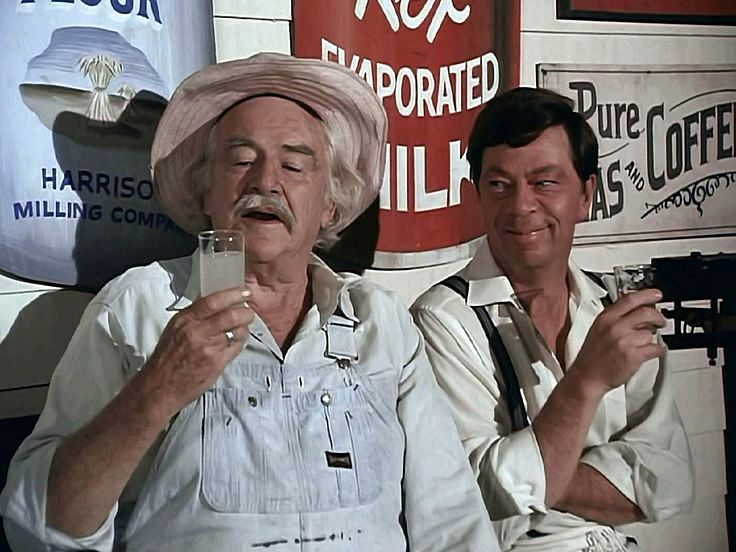 One evening as I was watching an episode of The Waltons, Grandpa Walton was going over to visit the Baldwin sisters and hoped to sample some of their secret recipe. I wasn’t quite sure what the recipe was at that age but the characters on the show were convincing that there was something really special about this secret recipe. In today’s times, it might be compared to the secret recipe that the Irish-Setter knows about those delicious Bush Beans that we see advertised. My childhood experiences created in me a longing to uncover hidden treasures and made me eager to find the secret recipe, the one right mixture of just the exact amounts of “this and that.” And to seek in life a mixture that is not lacking in anything, the blue-ribbon holder of recipes, the one recipe people yearn for. Being molded into a bible thumping Pro-test-ant in my formable years, Orthodoxy was quite a pill to swallow. It was not the normal flavor I had become use to. I was trained to discount Holy Tradition because of the heresies of some of the faithful. I was equipped with the Bible with over two thousand translations and interpretations of truth to pick from, which would give me the answers to all my questions and struggles in life. I was taught that the Inspired Word was living and adapting or changing with the current social and economic conditions. These defenses and so many more made me very cautious when I peeped in the window of Orthodoxy. Rest assured that the lessons I had been taught came from people that truly love the Lord. But when it comes to religion, I like my faith as thick as gravy! Finding Orthodoxy has convinced me that I had been settling for a watered down recipe of what Christ offers His faithful, one, holy, catholic and apostolic church. I am no longer a seeker. I am not hungering for the latest translation or the most recent buzz word or desert unearthing stirring up this Protestant nation. I have found true satisfaction with ancient interpretations and I do not worry if the path I am on is leading me down twisted roads that misdirect me away from the Father. You see, the recipe for our salvation is not a secret; it is by the sharing of the recipe that we may obtain unity. “Until we all might come to the unity of the faith, and of the full knowledge of the Son of God.” [Eph. 4:13] Saint Chrysostom wrote: “Until we shall be shown to have all one faith. For this is unity of faith…. Till then thou must labor to this end. If for this thou hast received a gift, that thou mightest build up others….For tell me not of the difference of the spiritual gifts, but that all had one work. Now when we shall all believe alike then shall there be unity; for that this is what he calls perfect knowledge.” [Hom. 11, P.G. 62:83, 84 (col. 83).] The gifts you have been given are the necessary ingredients or the “this and that” Christ needs to complete His recipe, the perfect recipe. All brothers and sisters hand in hand. Theosis of the faithful, thick as gravy! Next Next post: I BELIEVE IN PRAYER!